Hi! I’m Brendon, for those that don’t know me I’ve been cycling for over 10 years. 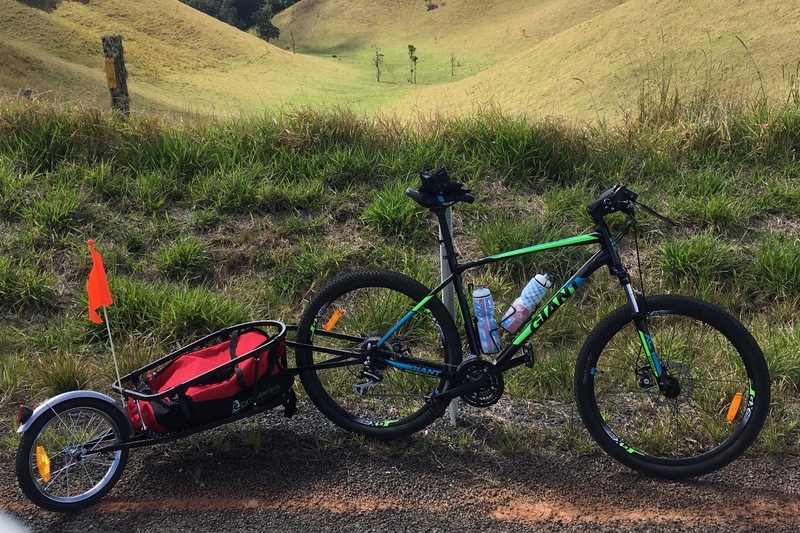 At the beginning of 2018, I decided that I wanted to cycle the east coast of Australia for charity from Cairns to Adelaide or more precisely from Evelyn, QLD to Wentworth, NSW following the coast till Adelaide before heading inland to Wentworth. A journey in excess of 3000 miles starting on the 1st December 2018 for 3 charities and one community group please donate whatever you can. How will money raised be split? Simply it will be divided by four. Bens Den support families of children fighting leukaemia or cancer, by gifting them a free holiday, allowing them to spend much needed family time together away from a hospital environment. What they do is simple – once a week they provide good quality, nutritional food and a friendly face to those who are homeless in Nottingham City centre. Go along on a Friday evening and you will witness the amazing work being done by this organisation. The foundation provides support to individuals and families affected by Dyspraxia or DCD. The foundation seeks to increase the understanding of the condition among professionals in health and education. I personally suffer from Dyspraxia, a condition that I have found to be both liberating and debilitating at times. I was diagnosed just before I left college in 2013, with this diagnosis came the reframing of years of unexplained events, struggling to attain at school, failing my A levels and it also explained why I excelled in a BTEC. After finishing college I decided to study Architecture at university, one of greatest decisions I ever made but one of the hardest journeys I’ve ever undertaken (I knew it wasn’t going to be easy by the way). Unfortunately there is no cure to Dyspraxia, so the best way to cope is to develop strategies to overcome the problems you face. Due to being diagnosed in college, I had to try and develop these strategies whilst undertaking a rigorous course at university. Needless to say I struggled to juggle the demands that the course placed on me and to develop strategies to overcome my Dyspraxia. Thus raising awareness of dyspraxia to professionals in both the health and education is of up most importance to me. In the corner of Western Park, Leicester there is a hidden jewel. A grassroots volunteer built set of cycle trails that caters for a variety of cycling disciplines. Money raised will be donated to the project to be used as the committee deem necessary. This may range from buying new tools, digger hire, insurance, helmets. I expect each day to be different, faced with new challenges, different weather and above all different places so to allow me to enjoy my surroundings and the people I am bound to meet on my travels. I’ve had a few people ask if they can help me personally or provide assistance? I am funding this trip independently, I will be wild camping and eating as cheaply as possible to help reduce my costs but any help would be greatly appreciated. If you happen to live along the east coast of Australia, I would be very grateful of a hot shower and a warm bed or somewhere safe to camp for the night. If your company sells outdoor products or products that would benefit me on my trip and would like to help me on my epic bike ride by donating then please get in touch. In return your brand and gear will receive exposure through regular posts on both Instagram and Facebook before and during the trip. I am happy to receive any financial assistance that you can provide to help me on this trip. Any donation will be put to good use. If you are business, we can discuss any marketing aims, in return for financial sponsorship I can add your company’s logo or your name onto my cycling Jerseys, bike or to my regular updates on Instagram and Facebook. Whatever ideas you have please get in touch. If you have any pointers to offer me or advice of places that are worth visiting along the way or information that can help me on this trip please get in touch.